In this time, it will take all of us to stand in our different ways for what is precious to us – values that we cannot take for granted. And it will take the wise old spirit to guide us. 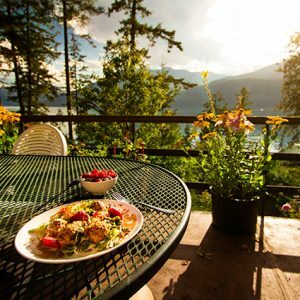 At Yasodhara Ashram, we value human dignity, the innate preciousness of all spiritual traditions, genders, ethnicities and races. It is why rebuilding the Temple of Light is so significant now. What better time to remind ourselves that despite differences, we can find unity in the brightness and warmth of our spirit, symbolized by Light? Swami Radha said of her original vision of the Temple, “Without focusing on the Divine we only struggle for power. But here, in the Temple, we want to be together in the Light.” It is heartening to see her vision manifest once again. Building this inclusive sacred space is an action of building hope and standing for the values so many of us share. Celebrate this special time of equal day and night, by reflecting on balance. 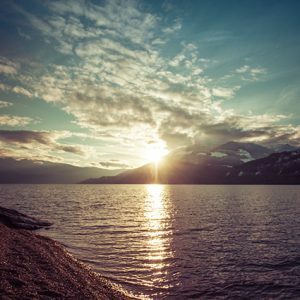 Learn yogic techniques such as breath, visualization, reflection and relaxation to help restore calm and gain a clear sense of what is most important in your life. Join us for this day program which includes a yoga class, lunch and guided tour of the grounds, including an overview of our environmental initiatives and gardens. Or, stay overnight and participate in Karma Yoga (selfless service), dinner, evening satsang (devotional service) as well. Give yourself ten days to expand your understanding of who you are and who you want to be – a reprieve from stress in a safe and nurturing place of reflection. For students of all levels, this course offers practices that support your personal and spiritual development. The external layers of the Temple near completion as the pre-fabricated pieces are put into place. Watch Swami Lalitananda’s update from inside. Watch the video. 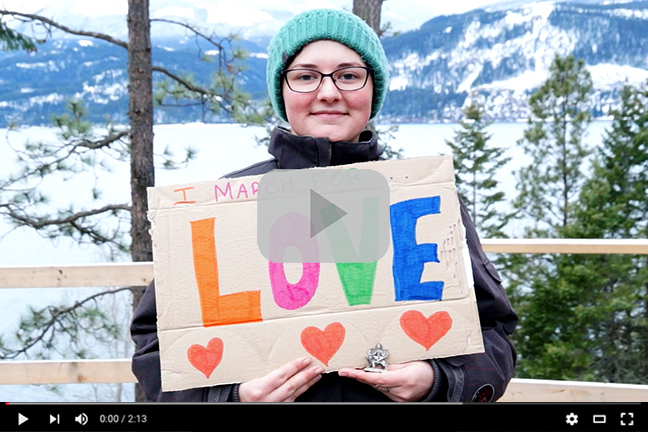 Yasodhara Ashram hosted a Women’s March on January 21 in solidarity with the Women’s March on Washington. Over 70 people gathered from as far as Creston to show support for women’s rights. The intergenerational and culturally diverse group gathered at Mandala House; we expressed the reasons we were marching before making our way through the Ashram grounds. The processional culminated at the Temple of Light construction site where the full circumference of the external base had been put into place the day before. The ceremony ended with participants circling around the Temple’s perimeter, acknowledging our common values and respect for human dignity. 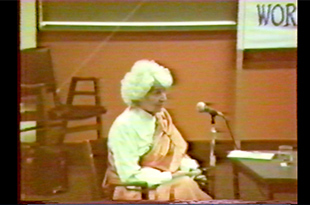 Swami Radha speaks at the World Federalist Conference in Victoria in 1986 about how women can use the challenges of life to discover their potential. 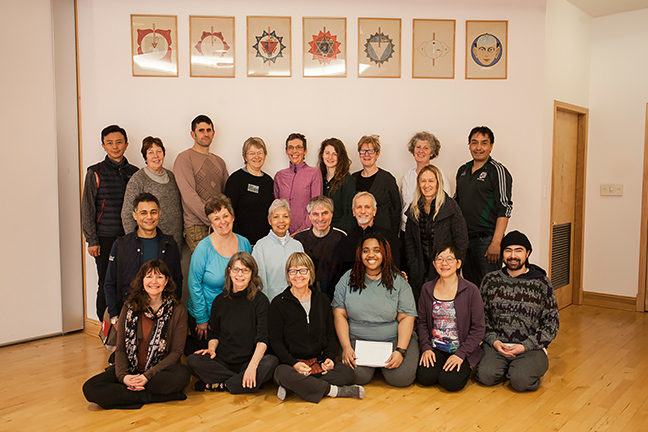 The 48th Yoga Development Course (YDC) began on January 9 with 23 participants from six countries. Leigh Cole from Toronto and Karin Shell from Whitehorse, who have known each other since they were teenagers, reflect on unexpectedly seeing each other in the course. They met at 1975 in Carcross Community Education Centre, a spiritual community in the Yukon. Over the years they ran a business together, lived in a tipi in the bush over the winter and reconnected at a reunion in Carcross in 2014. There they found out each had been to the Ashram – Karin for a 10 Days of Yoga and Leigh for a Karma Yoga Retreat. 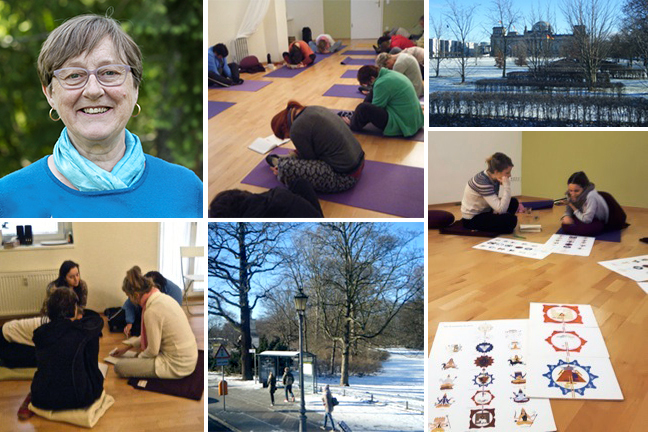 Swami Sukhananda reflects on her Outreach tour in Europe, highlighting her time in Berlin. 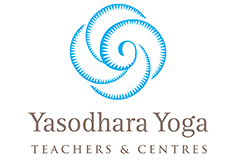 After leaving the Ashram in November, my European teaching tour began in early December with a retreat in Suffolk for Yasodhara Yoga teachers, followed by a series of satsangs and Kundalini workshops for students on the Suffolk Coast. The highlight so far has been workshops I’ve offered in Berlin at the invitation of Franziska Anna Leers, who first visited Yasodhara Ashram last winter. She brought together so many open, sincere students – friends, work colleagues and family members. I found it very special to present the teachings in Swami Radha’s hometown! Several workshop participants are now interested in meeting regularly. Berlin as a city seems welcoming, cosmopolitan and bilingual, much like Montreal, making it easy to get around. I enjoy the wide sidewalks and roads, and the fact that many people cycle and use the trams, so there isn’t congestion or pollution. A major attraction for me was the opportunity to visit the Wilmersdorf district, where Swami Radha grew up and lived. It was deeply touching to celebrate her return in spirit – a feeling of coming full circle. Check here to see Swami Sukhananda’s ongoing European teaching tour plans, which include workshops in London, Canterbury, Norfolk, Braga and Budapest. Do you have a place in Europe to invite Swami Sukhananda? Email sukhananda@yasodhara.org for information on bookings. 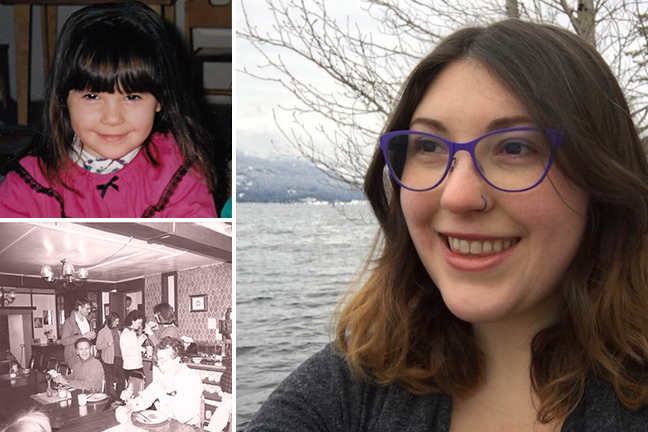 Ryan Koelwyn has been connected to Yasodhara Ashram since she was five years old. During the two years her father lived here, she would regularly stay for weekends and extended visits. Now living in Calgary and working on her PhD in education, Ryan talks about how her foundation at the Ashram informs her life. I was always a very curious child, questioning everything in the world around me. I would constantly ask “why?” – about everything – and not be satisfied with just any kind of answer. Key to my development was the environment around me encouraging that characteristic to come forth. Riding in the car with my father between Creston and the Ashram every other weekend we would talk about big questions like “who are you?” That road is so comforting to me the way it winds down the lake. As we’d talk about deep philosophical things, I’d feel like I was getting rocked back and forth as we’d talk. Now, I use my curiosity to ask questions about others in my research. 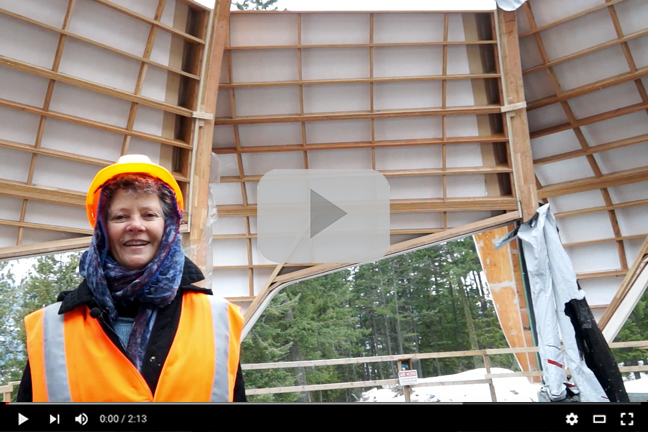 This past year saw the new Temple construction begin, with excitement rippling out through our worldwide community. 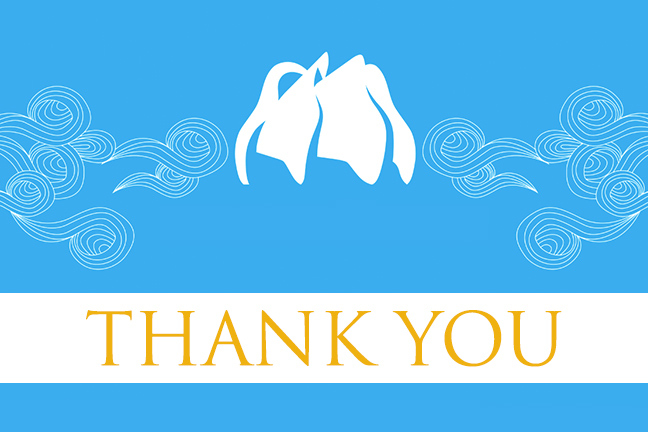 Thank you for your heartfelt, generous response of offering practices, service and financial support to keep this project moving forward. A group in Calgary is asking their friends and families to financially support the Temple rebuild using a special friends-asking-friends platform the Ashram has developed. It’s available for anyone to set up their own unique fundraising program for the Temple. Check here for instructions and contact us if you have questions about how to start. Ottawa held a kirtan event and the Wollongong group in Australia is hosting a fundraising dinner this spring. Individuals and groups have committed to offering a set number of Divine Light Invocations – keeping the new Temple and the Ashram in the Light. One donor has offered a sizeable financial gift to be given over time. Gifts of selfless service are invaluable. Michael Wou of Origami offers his professional design skills as karma yoga. We hope these ideas will spark your own creativity and encourage you to stay involved. The Temple of Light is a gift to each of us and to future generations. 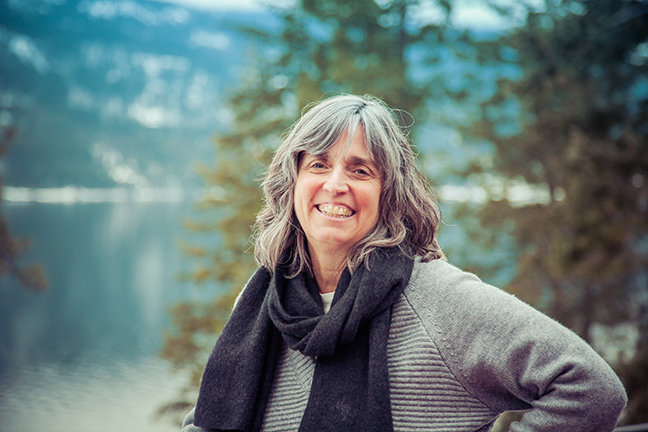 Bhakti Quinn, who previously worked as the BC Association of Farmers’ Markets Executive Director, speaks about her recent move back to the Ashram. 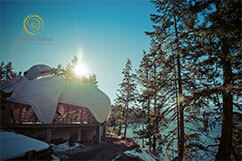 Before going to Vancouver I lived at the Ashram for six years, so I know what it’s like to be in this supportive environment, one that also has an intensity to it. When I went to Vancouver I was able to apply what I had learned at the Ashram – identifying what the challenge is, what my part in it is and learning how to change. I feel like a different person now, coming back after having worked in a progressively more responsible position. I feel more confident and relaxed. I’m able to make mistakes and be okay with them. I also have new skills to bring to my work at the Ashram – in project and financial management, fundraising, relationship building, supervision and working with volunteers. When I lived at the Ashram before, I wanted to be somewhere else in myself – more spiritual or whatever I thought spiritual was at the time. There’s been a maturing and understanding that my path is my path. That’s where the confidence comes in. There are many changes I’m seeing at the Ashram now. It’s less structured, more nuanced, than it used to be. My practice has been softening and letting go. I want to expand and listen more. I’m bringing what I know from my professional experience forward. When I soften, there’s an expansion that takes place and I’m able to listen better. Even though I’m still going through the transition, it feels seamless. I feel like such a different person and everyone has been incredibly welcoming. Come learn the skills you need for your life path and be part of a flourishing spiritual community. The Learning Residency program is based on experiential and self-led learning within a guided mentorship. 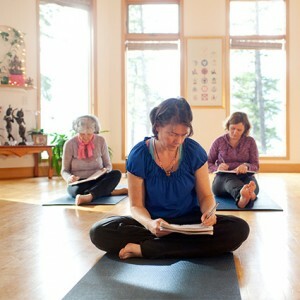 This is a unique opportunity to support the day-to-day work of the Ashram, expanding your own self-understanding through yogic tools. This program is open to all ages. Become an integral part of the community for four to eight months. Deepen your skill-set. 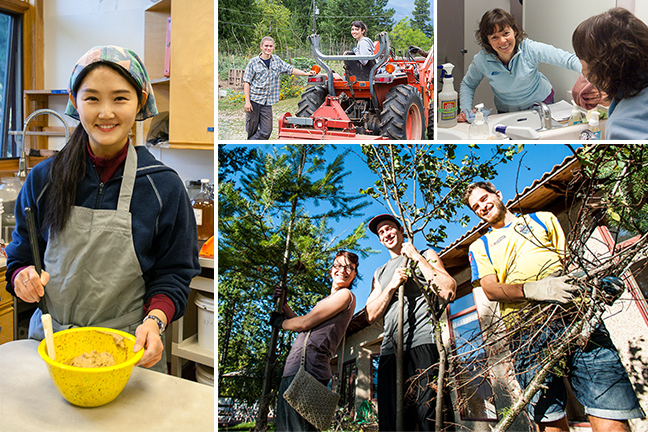 Learning Residencies are available in the following areas: Hospitality, Garden, Kitchen, Preserving Kitchen, Lands & Groundskeeping, Food Systems and Infrastructure. Save the Date – Registration is now open for our Temple Celebration and Annual Family Retreat. Register to reserve your spot now. Congratulations Chuck! – Long-time Karma Yogi and YDC 2017 participant Chuck McNab has earned his adult graduation diploma. See photos on Facebook. Lessons From the Garden – Alanda Greene reflects on how her experience of gardening informs her everyday life in her latest article for Heartfulness Magazine, Garden Gloves.